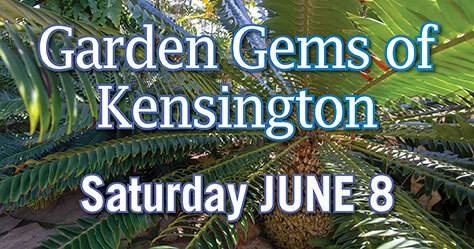 To promote the knowledge and appreciation of horticulture and floriculture in the San Diego region. Educatating and encouraging regional gardeners through lectures, classes, publications, scholarships and library resources. 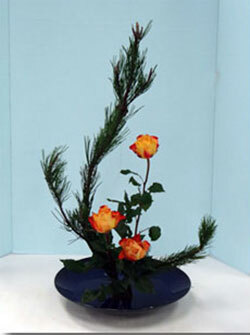 All of the activities of San Diego Floral Association depend on the good will and participation of volunteers. Check for a listing of workshops, classes, tours and other events that happen on a recurring basis. Leave a legacy to support the SDFA in its second century. Join us for a wonderful event featuring the striking grace and harmony of Japanese floral design. An Asian-themed dinner in the courtyard will proceed the event. Places must be reserved in advance. The cost is $24.00. We invite you to join the many generations of San Diegans who have supported the non-profit Floral Association by making your own legacy gift. Your donation will help to keep the Floral Association active and vibrant for another one hundred years. 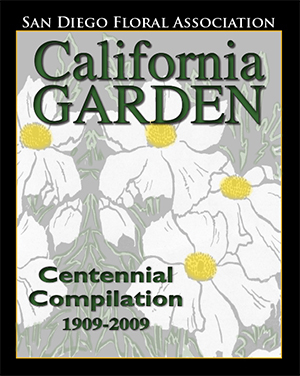 Learn the San Diego Floral Association history by reading articles written by the founding members and authors who came after them. 256 pages. See pictures of members, flower shows, early magazine covers and other activities. Enjoy the long history of our magazine.